It’s fast approaching Easter, and the need for baking Hot Cross Buns is growing stronger. As with last year, we will be baking the traditional buns on Good Friday (19th) morning, before having the afternoon and the Saturday (20th) to spend time with family and friends. Usual opening hours will resume after the Easter weekend. 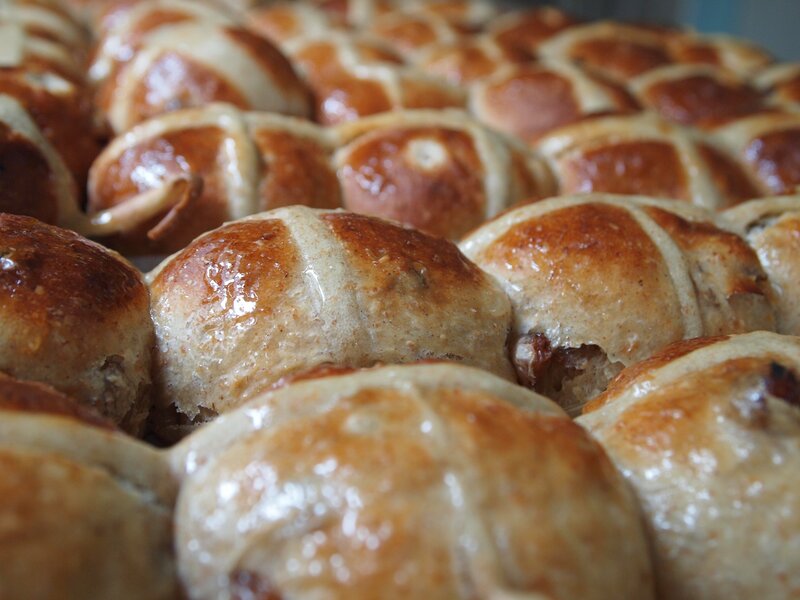 Doors will open at 10am as usual, so come along and join the queue to get Poets’ Corner’s finest Hot Cross Buns. Importantly, for every bun you buy you will be helping us to run projects with members of the community, using breadmaking to support wellbeing. April is Stress Awareness Month, and it’s good to remember that for many stress can have a massive effect on their wellbeing.